"The city charter specifies that the council president will succeed a mayor who leaves office before his term expires. Mayor Eddie A. Perez has promised to submit his resignation Friday following his conviction June 18 on bribery and extortion charges. Perez hasn't said when he actually will leave office. Segarra, 51, said his goal is for more than a change in his office nameplate. He said he hopes to restore public trust in the city's government and inspire more residents to get involved. 'I hope there is a transformation in the way politics are done in this city, so we don't repeat the mistakes of the past,' said Segarra, who would become the city's first openly gay mayor. He said the shift in responsibilities is one he never dreamed would happen." 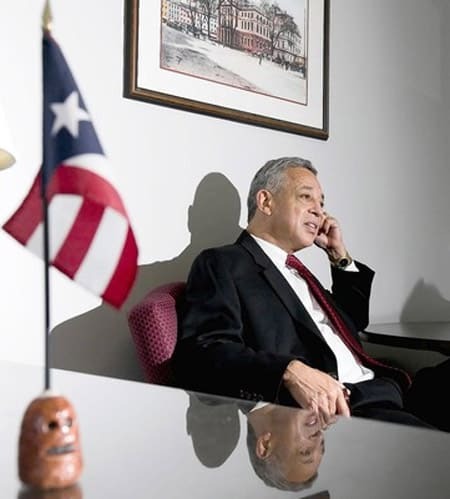 More on Segarra's background here.